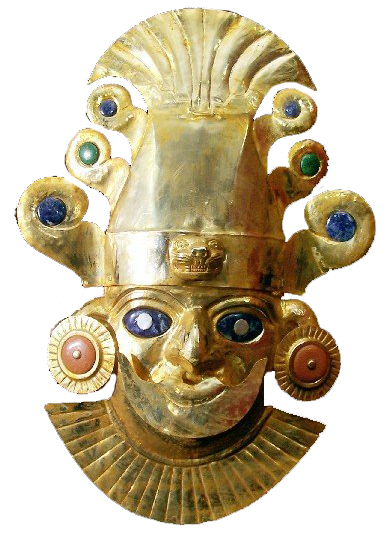 The world famous explorer Thor Heyerdahl claimed that in ancient Incan legend there was a sun-god named Con-Tici Viracocha who was the supreme head of the mythical fair-skinned people in Peru. The original name for Viracocha was Kon-Tiki or Illa-Tiki, which means Sun-Tiki or Fire-Tiki. Kon-Tiki was high priest and sun-king of these legendary "white men" who left enormous ruins on the shores of Lake Titicaca. The legend continues with the mysterious bearded white men being attacked by a chief named Cari who came from the Coquimbo Valley. They had a battle on an island in Lake Titicaca, and the fair race was massacred. However, Kon-Tiki and his closest companions managed to escape and later arrived on the Pacific coast. 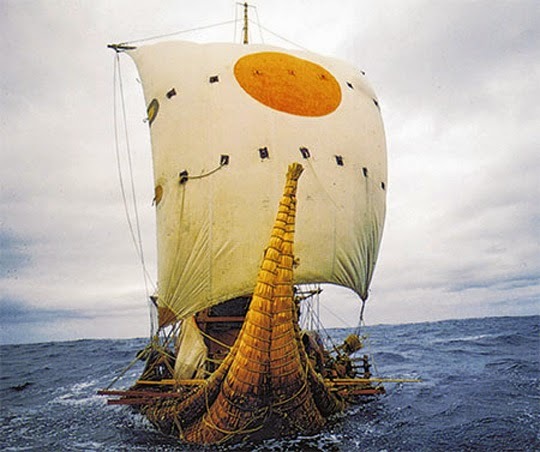 The legend ends with Kon-Tiki and his companions disappearing westward out to sea. When the Spaniards came to Peru, Heyerdahl asserted, the Incas told them that the colossal monuments that stood deserted about the landscape were erected by a race of white gods who had lived there before the Incas themselves became rulers. The Incas described these "white gods" as wise, peaceful instructors who had originally come from the north in the "morning of time" and taught the Incas' primitive forefathers architecture as well as manners and customs. They were unlike other Native Americans in that they had "white skins and long beards" and were taller than the Incas. The Incas said that the "white gods" had then left as suddenly as they had come and fled westward across the Pacific. After they had left, the Incas themselves took over power in the country. Wow, Aryan, is this you? Very impressed.